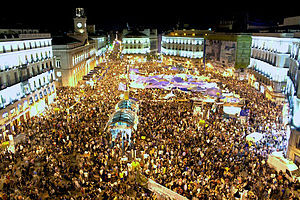 ^ "Protesters march against austerity measures in Madrid". The Guardian. 21 March 2015. Retrieved 14 April 2015.